Home › Research › Research for Practice: Papers from our 5th International Conference on Employer Engagement in Education and Training. Research for Practice: Papers from our 5th International Conference on Employer Engagement in Education and Training. This publication presents contributions from the 2018 International Conference on Employer Engagement in Education and Training. The conference brought together delegates and speakers from around the world, sharing perspectives on employer engagement in education and training. The conference was the fifth hosted by Education and Employers, the fourth by the Edge Foundation and the second joint event by the two organisations. The event was made possible through the generous support of the Edge Foundation, the Commercial Education Trust (CET), the Careers and Enterprise Company (CEC), the Department for Business, Energy and Industrial Strategy and the Centre for Vocational Education and Research (CVER). We received an overwhelming number of high-quality papers from around the world. 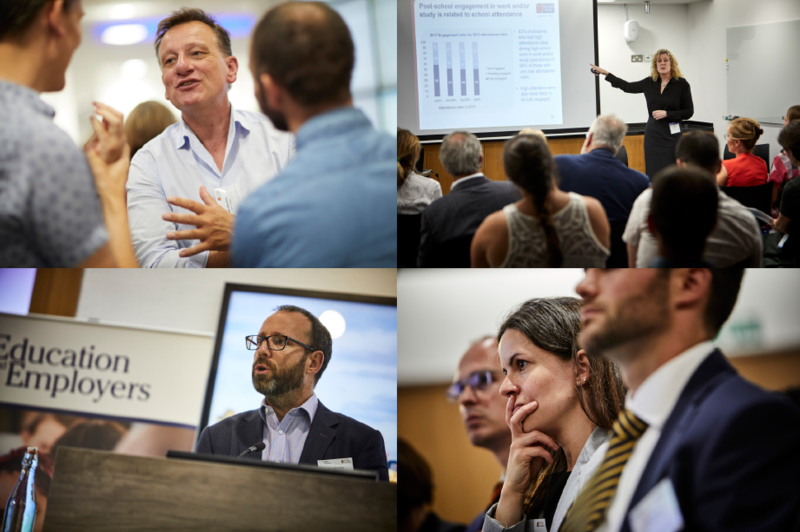 Over the two days in a packed programme researchers presented a wide range of topics under the main theme of the conference, you can watch short videos of some of the guest speakers following this link. For wider dissemination of the content of the conference we have asked presenters to share their slides with the public, you can find out more about what has been discussed and covered during both days by following this link. In the paper you will find summaries of eight contributions from the conference, which present research findings on different aspects of employer engagement, reflecting the multiplicity of ways in which the worlds of education and employment intersect. The importance of these contributions is that they are grounded in research across all phases of education and present the perspectives of a range of stakeholders, not just of the critics who carp from the sidelines about the inadequacy of the education system and of youth in particular; or about employers’ unwillingness to engage. There is much to be learnt from well designed and rigorously analysed research that can be shared to inform future policy and practice. In addition to the eight contributions presented here, you can find short videos of keynote presentations and panel discussions, as well as summaries of other delegates’ research and perspectives here. These provide a glimpse of the range and scope of research activity across the education employment interface and foreground the extent to which employer engagement is seen as fulfilling a multiplicity of aims within the education and training system. The eight contributors featured here were invited by the editors to summarise insights from their conference papers. Contributors were selected on the basis of the high quality of the research approaches they had adopted exploring questions of particular relevance to professionals working in UK schools and colleges. All the summaries focus, in different ways, on the implications for practice stemming from research studies.